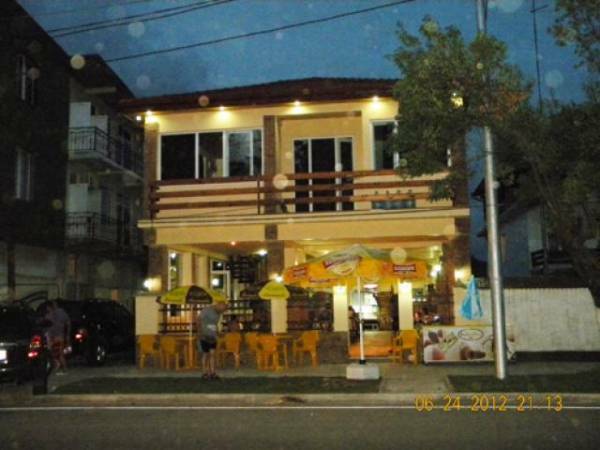 He hotel “Sympathy” is situated almost on the seaside that gives the wonderful possibility to the tourists to go to the beach in a swimming costume. It takes only 30 minutes to reach the airport and 20 minutes to the railway station. 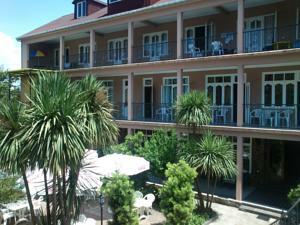 The hotel “Sympathy” offers 9 rooms decorated by the professional designers. There is TV-set with satellite channels in every room. 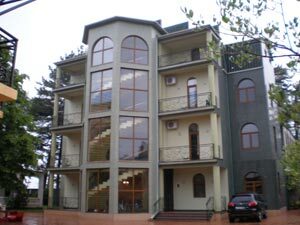 Chveni Ezo is set 150 metres from the Black Sea coast, and from a bus station with connections to Kobuleti city centre, 5 km away. 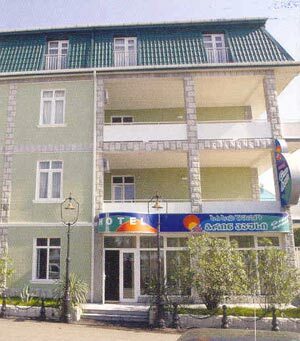 It features free Wi-Fi, a 24-hour front desk and outdoor terrace.Rooms at Chveni Ezo Hotel are simply decorated in bold colours. Every room includes a TV, work desk and a view of the hotel’s garden. 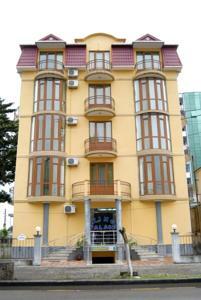 Less than a 1-minute walk from Kobuleti Beach, this hotel enjoys a central location in the seaside resort. 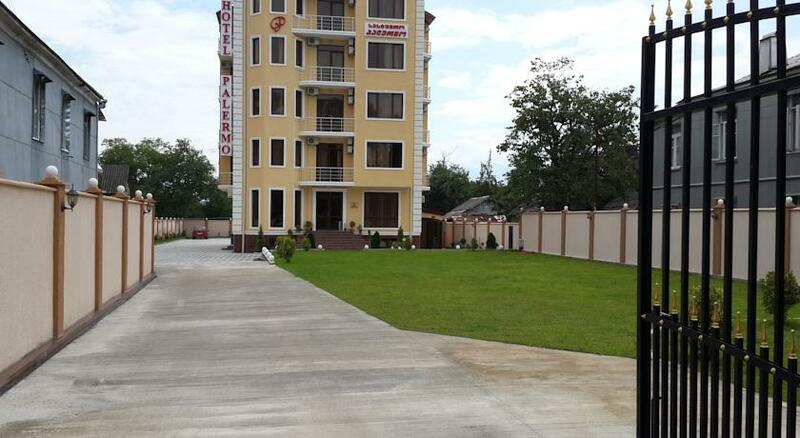 A 24-hour reception, Georgian restaurant and free Wi-Fi in the elegant lobby are offered here.The air-conditioned rooms at King Palace feature homelike interiors with light wooden flooring and patterned fabrics. 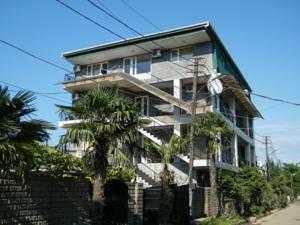 All are equipped with a refrigerator, TV and complimentary toiletries. 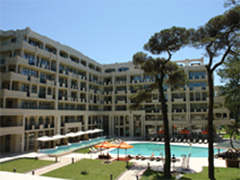 Flat-screen TVs, tiled floors and floor-to-ceiling windows are standard at the Kobuleti Beach Club. Guests enjoy views of the sea or hotel garden. 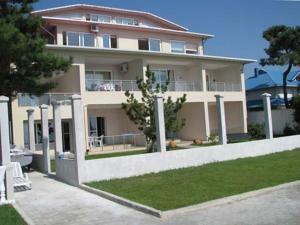 Bathroom comforts include toiletries, bathrobes and slippers.Guests can dine in Kobuleti’s bright restaurant with bar. A breakfast buffet is available, and can be brought to your room on request. 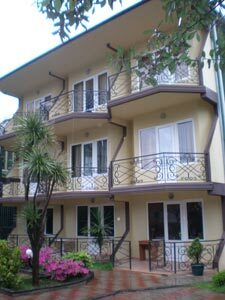 Just 100 metres from Kobuleti Beach and 2 km from the Kobuleti Nature Reserve, this hotel offers air-conditioned rooms with balconies and refrigerators. Reception is open 24 hours a day. Guests can enjoy food and drink on the covered terrace in the summer. 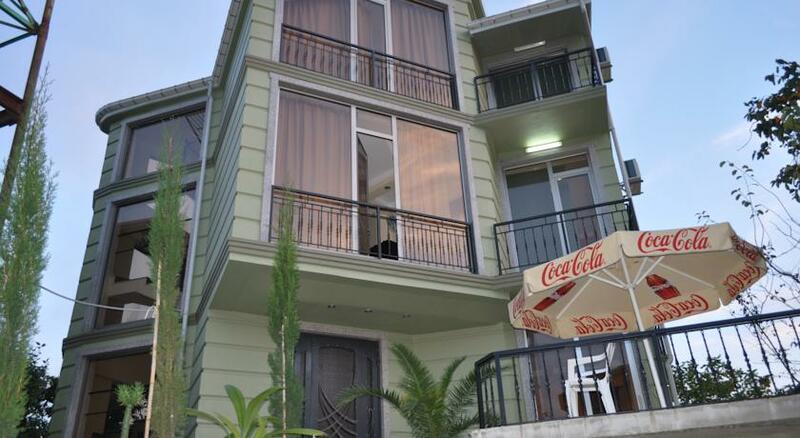 Rooms are bright and simply furnished, with smart wooden flooring and a TV. 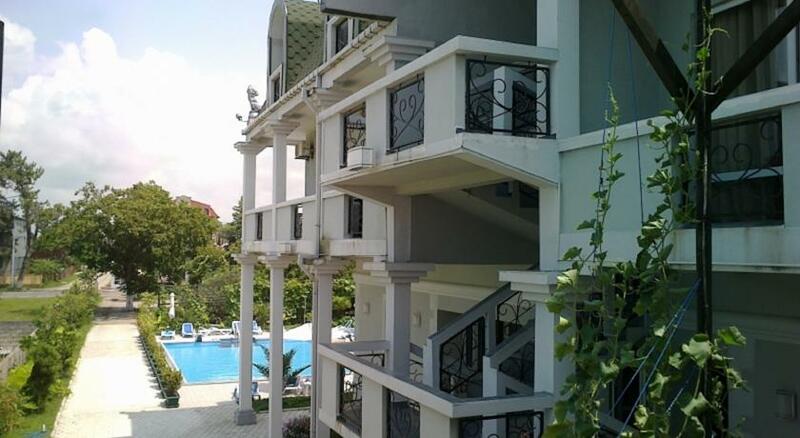 A 5-minute walk from Kobuleti Beach and surrounded by exotic gardens, this hotel offers traditional Georgian cuisine and a large terrace. 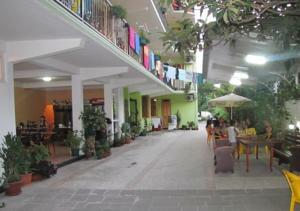 Rooms include air conditioning, private balconies and cable TV. 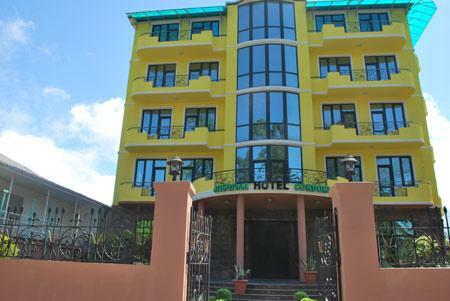 Individually furnished rooms with wardrobes and wooden or tiled flooring are offered at the Savane Hotel.